Hello there May! I have been quietly stitching my way through a glorious sunshiny spring here in Ireland. April was wonderful. A blaze of sunlight on the river water and bright green leaves bursting into the blue skies. I don't like to be indoors too much in this weather, so I have mostly been working on hand stitching and knitting projects. I recently tried some of Wild Olive's sweet embroidery patterns. Embroidery other than cross stitch is something fairly new to me, but I loved stitching The trees start whispering and these cupcakes. I turned my cupcakes into a needle book, much easier than a pincushion for mobile needle storage. I also finished my Frosted Pumpkin Stitchery burger as a cute scissor fob! No more lost scissors, yay! Burger is part of the Summer Sampler chart. I used Crafty Kitten opalescent Cashel linen in Tropical Seas. February was awesome! Seriously, a wonderful month here. ~ Hanging out in Camden. ~ Frosted pumpkin stitchery patterns. ~ Getting my sewjo back. 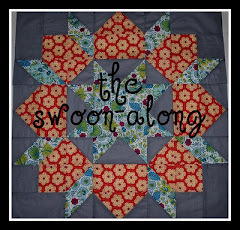 ~ Winning at free motion quilting. ~ Hedgehog fibres sock yarn. ~ Finding and cleaning up my very own cat skull. ~ Fancy dinner out for Valentine's Day. 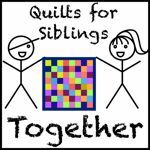 ~ Finishing the Volume quilt. ~ Feeling hopeful about derma recovery. This week I have mostly been making gluten free comfort food. It has been ages since I had a burger in a bun. I'm honestly happy without one (a few great burger restaurants around here make their burgers gluten free and serve them in yummy salad bowls), but sometimes a proper burger bun and the whole works are just perfect. Served with pineapple, bacon, mature cheddar, Jack Daniels BBQ sauce, jalapenos and the absolutely necessary sweet potato mash. And the next day I made a pizza. Managed to make it look like actual pizza this time, not just bread with stuff on top :) I use a pre-mixed gluten free bread mix and bake it 1/3rd pack at a time to make my pizza bases. I'm doing a draw-a-day project throughout February, along with my brother and his flatmate. We are 25% through today (eeek!) and I am keeping up so far :) Will photograph my drawings once I'm back from the UK. I hadn't really drawn in years so I'm pretty rusty. I mostly draw food, with smiley faces. Off to London tomorrow for our Black Metal Valentine's Weekend! So very excited!!! Hi there! It's been a while. I'm going to be brutal, random and contradictory right here, as I have a fair bit to catch up on. So... it has been a month and I have skin now, regular skin like other people! My face looks much the same to me but Dan assures me it is clearer. I have started wearing make-up most days to stop me from touching my face. But my legs are majorly improved! Hardly any scarring at all. So good that I am going to have a Blythe portrait tattoo on my calf just as soon as I can afford it. Dan has appointed me 'Minister of Fun' in the household. My job is to scout for entertainment and suggest fun stuffs to do. So far I have scheduled plans for February and August. Both involve Cradle of Filth gigs. It has been too long. I'm stitching along with the Frosted Pumpkin Stitchery's Once Upon a Time Sampler. There will be a different fairytale for each month, and January featured Snow White. I'm aiming to use each months team as a starting point for all my artwork/creative stuffs, and the above portrait of me is my best attempt at Snow White. I'm leaning more towards the Elizabeth Bathory / wicked queen character than Snow White herself. Themes of power, beauty, control. Very much part of my own life with dermatillomania. I *think* I would like to try to take a self portrait for each fairytale all year. My original plan was a drawing/other artwork, but this might just work better. I love the challenge of portraying a story. I do have fluff/dust in my hair. We moved the bedroom to the studio yesterday, and the new studio/former bedroom is looking pretty raw. Hope to get it sorted soon. New bedroom is amazing though!